Jasper Hill Farm milks a herd of about 45 Ayrshire cows. While Ayrshires are not a high production breed, their milk has a high solids content and small fat globules, making it exceptional for cheesemaking. We are a pasture based dairy; in our climate, this means that the cows are on pasture roughly from May through October, or as long as weather permits. During the growing season our cows graze on lush pasture grasses, and in winter their forage is replaced with dry hay. Their diet is supplemented year-round with a non-GMO grain ration that maintains digestive health and stabilizes milk components. 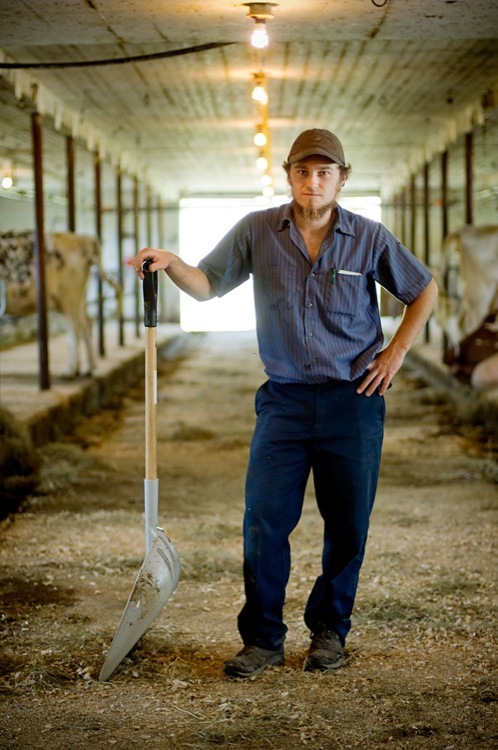 Our cows are milked twice a day, and chores can take 3-4 hours for the herd due to our meticulous practices. We clean, sanitize and dry each teat before attaching the milking unit, as well as dipping with a protective sanitizing solution after milking. Cleanliness and the health and diet of the cow are paramount for good milk. 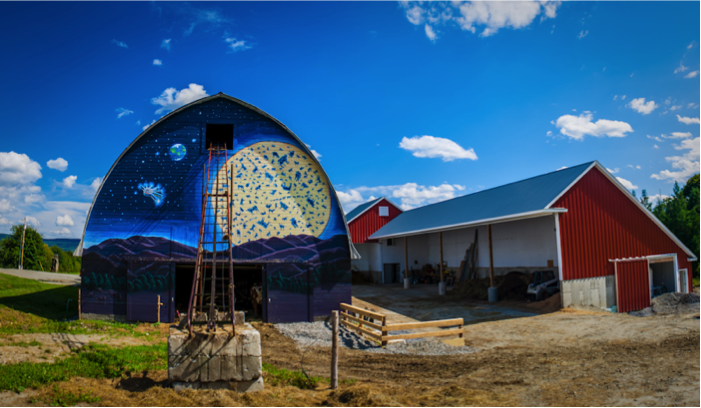 Jasper Hill Farm is also involved with the production of milk at Andersonville Farm located in nearby Glover, VT. This customized milk is used to produce batches of cheese at both Jasper Hill Creameries.